I was inspired by Frankief's Gossamer Blue, so I came up with Accent of Blue. 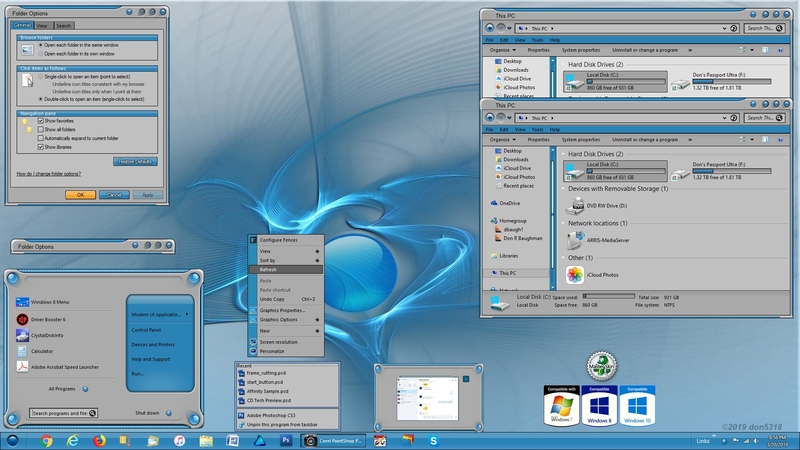 Another light colored skin, with blue accents, has sub styles for Win 7, Win 8.1, Win 10, dark/light Explorer background, and roll up button. So enjoy! Great looking skin. Well done again. Knocked it out of the park again Don! Nice skin Don! Wall is great with it! Vicki, no reason to toss it. Lotsa skins are similar to others, it's still a very nice skin, I'm sure! Thanks, and you're welcome Arnoud. I love it. Blue and grey always go together well. Cool calm & collective type of skin easy on the eyes and smooth usability cool Cheers Don another masterful skin from the Don!